For the next year, ambitious and sharp-elbowed legislators around the nation will look to Machiavelli, rather than Jefferson or Hamilton, for inspiration as they draw the congressional maps that will begin and end political careers and determine the partisan makeup of Congress during the next decade. Some incoming House freshmen are already marked men and women — before they’ve been sworn into office. Some veterans are about to be brusquely pushed into retirement. A few members of Congress will be forced into head-to-head battles with colleagues in order to survive another term. All in all, it’s a harrowing exercise in political Darwinism. The peril is greatest in the 9 states — Illinois, Iowa, Louisiana, Massachusetts, Michigan, Missouri, New Jersey, New York, Ohio and Pennsylvania — that are slated to lose seats as a result of population shifts over the past decade…..
President Barack Obama on Wednesday signed legislation ending the 17-year ban on gays in the military, declaring that sexual orientation can no longer determine who is allowed to serve in uniform. He thanked Democrats and the few Republicans who worked on the legislation ending the military’s prohibition on gays serving openly. But he saved his warmest praise for the leaders of the Pentagon and the troops themselves. “History will remember well the courage and vision of Secretary Gates, of Adm. Mike Mullen, who spoke from the heart and said what he believed was right,” he said. The policy will stay in effect until Obama and military leaders determine when the ranks are ready to do away with it, he said. But the president — who pledged during the 2010 midterm campaign that the policy would be dismantled “on my watch” — promised swift action. 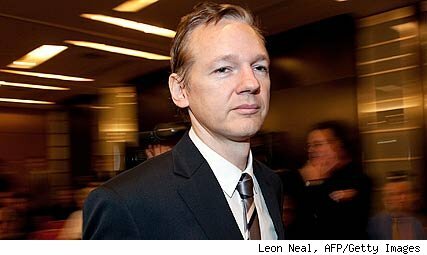 Julian Assange: Arrest Looks Imminent……. The man who went after the US government finds himself a step away from going back to Sweden in cuffs…. WikiLeaks founder Julian Assange — who sent the world into a tailspin last week when his organization dumped some 250,000 U.S. secret diplomatic cables — is without question the world’s most wanted man. But according to several British news outlets, Assange’s arrest is imminent, possibly as early as Monday. Speculation that the end was in sight began after it emerged late Friday that Swedish prosecutors had filed a fresh request to British police to extradite the WikiLeaks founder. In November, Swedish authorities issued an arrest warrant for Assange, who was accused of sexual crimes committed there in August. But a procedural error in the original European arrest warrant sent by Swedish prosecutors to Britain’s Serious Organized Crime Agency (Soca) have prevented any move to apprehend the Australian. For the past several months, Assange has widely believed to have been in hiding somewhere in the United Kingdom. The public perception has been one of a man hunt…. 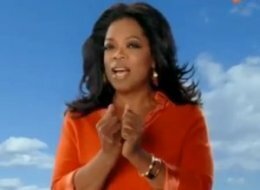 Oprah Winfrey Network’s First Commercial Debuts With Music From Will.i.am…. President Obama is neither weak nor stupid… nor a progressive…. A lot of people are wondering why President Obama keeps offering compromises and capitulations to the Republicans before negotiations have even begun. A lot of people are wondering why he appears to keep effectively unilaterally knee-capping himself. A lot of people accurately argue that it would be great optics at least to try to stand on principle, and it might even produce better policies. Some say he is weak. Some question his intelligence. Some do one or both in less than polite terms. But many are overlooking a possible alternate explanation. Many are overlooking an explanation that is hiding in plain sight. President Obama is no fool. He’s actually extremely smart. One need not recount the entire litany, but suffice to say that one doesn’t become president of the Harvard Law Review, get invited to teach at the University of Chicago Law School, or compose on the fly a riveting Speech on Race that galvanizes much of the nation– even many inclined to be critics– unless one has a rare and assiduously honed intellect. The argument that President Obama is stupid fails at first thought. A more common refrain is that President Obama is weak. That he gives in too easily and doesn’t know how to fight. This argument sometimes lapses into terms that shouldn’t be acceptable even to the harshest of the president’s critics, but many believe the president either doesn’t know how to or is unwilling to stand his ground. But this belief also doesn’t hold up under scrutiny. President Obama would not be where he is today if he was weak or timid. He has had to overcome a host of personal and structural hurdles, and to dare even to try to become this nation’s first black president takes a level of courage and determination almost beyond comprehension. Every president takes risks, but President Obama challenged and defeated presumptions that even many of his strongest supporters had taken for granted. He prevailed because he is smart. He prevailed because he is tough. He prevailed because he is almost fearless. So, why would a person of such intelligence make what seems to be so many foolish political decisions? Why does he appear not to come to understand the nature of his opposition? Why does he seem to get rolled on so many issues on so many occasions? Call it The Obama Paradox. Or realize that the answer may lie in the nature of the questions. The Obama Paradox presumes that the president is a liberal or a progressive, and that he is ceding his principles based on faulty strategies or a disinclination to face confrontation. Many of the president’s more ardent supporters also buy into this presumption, but rather than accept that the buck stops in the Oval Office, they concoct a series of ever more ridiculous rationalizations. It’s always someone else’s fault, and the blame usually falls on Congress, particularly the Republicans, the Conservadems, and the Blue Dogs. But it’s time to consider the possibility that the problem lies with the presumption underlying all these questions and explanations. It’s time to consider that the president accepts centrist and conservative policies because he himself is a centrist or conservative. This does not mean that President Obama is a Republican, or anything close to a Republican. The Republican Party is not conservative, it is extremist. But as the Republican Party has drifted farther and farther to the fringe, much of the establishment Democratic Party has intrepidly moved into the ideological space the Republican Party abandoned. The Republicans lead this movement to the right, and the Democrats follow, taking the political center with them and leaving the traditional left ever more disenfranchised, disenchanted, and politically alienated. The problem with Barack Obama isn’t that he is worse than establishment Village Democrats, the problem is that he is one of them. He didn’t change Washington, but he is changing what some who consider themselves liberal or progressive are willing to tolerate, accept, and even support. Nobody forced President Obama to escalate the war in Afghanistan. Nobody forced him to expand oil drilling in the Arctic rather than make the case that we need an emergency effort to end our addiction to all fossil fuels. Nobody forced him to have his Department of Justice ignore the Bush administration’s criminality. Nobody forced him to continue secret renditions or a policy of denying suspected terrorists the human right of due process. Nobody forced him to order his DOJ to appeal court rulings that would have ended Don’t Ask Don’t Tell. Nobody forced him to open a discussion about the deficit which even puts Social Security and Medicare on the table when the economy desperately needed and needs more Keynesian stimulus. Nobody forced him to keep on Bush’s Defense Secretary. Nobody forced him to hire a neoliberal economic team and ignore the traditional liberal economists who had been almost alone in predicting the economic collapse. None of these moves was forced on him by the Republicans or the Conservadems or the Blue Dogs. It’s conventional wisdom to believe that the president gave away the public option for which he had campaigned, while accepting the mandate he campaigned against, and again the arguments are largely about what he might have gotten had he tried. Or the optics of trying. But again the presumption is that he wanted to try. The same goes for the inadequate and ultimately politically disastrous stimulus package. But he himself later admitted that the public option hadn’t ever been that important to him. And his political team, like his more passionate supporters, continually hyped every isolated cherry-picked uptick in economic data as proof that his stimulus plan wasn’t so inadequate after all. Take it at face value. He thought the stimulus was enough. He didn’t care that much about a public option. The agenda so desired by liberals and progressives just wasn’t his agenda. The primary tactic in this game is Villain Rotation. They always have a handful of Democratic Senators announce that they will be the ones to deviate this time from the ostensible party position and impede success, but the designated Villain constantly shifts, so the Party itself can claim it supports these measures while an always-changing handful of their members invariably prevent it. But it’s worse than that. It’s not only about creating a shifting cast of villains, it’s about creating a consistent facade of false blame. Someone else has to be the bad guy. That on every single issue there are means of challenging, and sometimes thwarting, the bad guy can be debated and argued and ignored and otherwise muddled in consciousness. But the fights are never truly fought, and then the compromised policies are marketed as great successes, not as capitulations. Take that at face value. One doesn’t attempt to celebrate when one is left unsatisfied, rather one wakes up the next day determined to fix what needs fixing. But there has been no such determination. Instead, there has been much marketing of these false successes. The Republicans are a convenient foil. To anyone paying attention and not under the sway of the corporatist media, they would be almost an amusing carnival were they not so dangerous in that their destructiveness now has legitimate political currency. But they didn’t force the president’s hand. He pursued the policies as he chose to do, and he fought the fights he chose to fight. He and his team have mocked and disparaged his party’s traditional base. That doesn’t mean he is a Republican. It does indicate the degree to which he buys into what is now conventional thinking among Village Democrats. President Obama is not stupid and he is not weak. He is very smart and he is very courageous. He is pursuing the politics he is pursuing not because anyone is forcing him to, and not because he is being beaten at the political game. He is pursuing the politics he is pursuing because it is who he is. Politicians are but political tools, and they are not the only political tools. They are only as useful as the agendas they are willing to pursue. We don’t owe them our loyalty, they owe us theirs. There are other political tools, and there are means of organizing that transcend the elective political game. It’s about the issues. Given the gravity of the stakes, we have to focus on the issues, without excuses, and in some cases without compromise. That means we have to accept some politicians when there are no immediate alternatives, and we have to try to push them to do better and to be better even when it is counter to their own political ideologies, but it also means we can’t pretend they are something they are not; and it also means we have to create a climate where there will be better and legitimate alternatives. Crashing the gates was but a first step. There are more gates to crash.